Description/Historical Information: Sherwood Foresters (Nottinghamshire & Derbyshire Regiment). 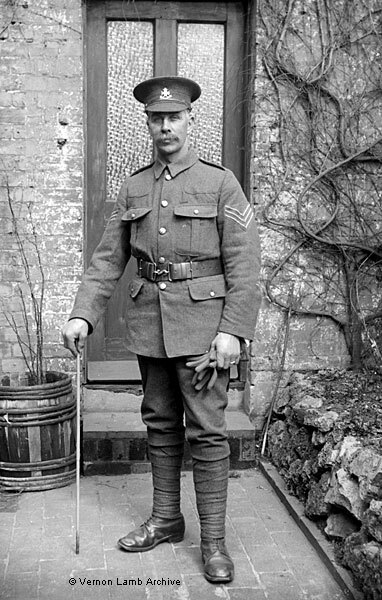 Sergeant, with cane and holding gloves. He is also seen in VLA9851.